Can I get Into the Teaching Profession with my Military Background? Serving in the military takes discipline, skill and passion for serving your country. Teaching is a profession that takes discipline, skill and serving your community. For those with military service, becoming a teacher may be an excellent second career. What are the steps that need to be taken to transition from a military member to a teacher? No matter what you have done in the past, you are most likely not going to get a teaching job unless you have your teaching certification. Those who are interested in becoming teachers after they get out of the service should look into programs such as Troops to Teachers. The program allows service members to take classes online wherever they are in the world. Your time spent in the military may help you qualify for tuition assistance. Depending on where you go to school, your military education benefits may help pay for the entire cost of your undergrad classes. In addition, you may be able to have part of your tuition waived if you agree to work in a high-need district where you would be helping underprivileged kids or working in a district doesn’t get a lot of money from the government. School districts around the country would be proud to have a former member of the military on their payroll. As long as you were honorably discharged, having the ability to put military service on your resume can only be a good thing. Studies also show that teachers who have a military background tend to stay with their school districts for a longer period of time. This works in your favor because districts spend less money on training and development when teachers stick around for the long-term. Vocational teachers don’t face the same strict requirements that other teachers face. To become certified to teach a vocational class, you will need at least one year of college and at least six years of experience in the field. Those who have been in the military for several years more than likely have the years of experience needed to teach a wide variety of trades. A teaching certification is no good if the state doesn’t accept it. It is important to understand that your teaching certification is granted by the state. If you are certified to teach in New York, you may need to get certification to teach in Montana. While some states accept certifications from other states, some states will require you to become certified in that state to be eligible to teach there. 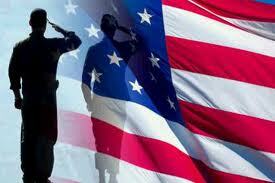 If you have spent time in the military, you may be qualified to become a teacher shortly after you are discharged. As long as you have the required experience and certification, you can start teaching in any state where you are certified within months after you have left the military.